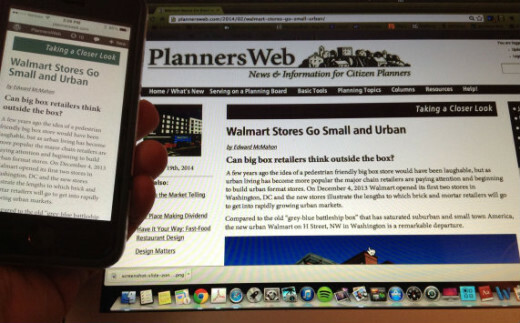 We've changed the coding on PlannersWeb to allow for better viewing of our articles on smartphones and tablets. But as we've just made this change, we can use your help. Please email us at: pcjoffice@gmail.com if you encounter any problems in viewing our site with your smartphone or tablet. In your email, indicate as precisely as you can the nature of the problem, and what type of device you're using. We'll then try to address any problems that you've identified.